In continuation of our ongoing work in responsible travel, we are always focused on tailoring experiences for sustainable tourism. Travelling responsibly is much easier than it seems, with current industry trends focused on community development, wildlife protection and cultural preservation. This is aided by the fact that visitors are seeking out an exploration of the destination that is authentic and different, things that lend perfectly to a sustainable and responsible framework. Although Laos may not be as busy as its neighbours, it is home to a relaxing culture that has faced a great deal of hardships throughout its history. Despite nine years of covert bombing operations, one of the regions poorest economies and relative lack of infrastructural development, this humble destination offers travellers a unique experience. Laos is an ideal destination to visit as a responsible traveller! With verdant national parks and remote minority communities, not only is it a beautiful place to visit with charming attractions, it also can benefit immensely from sustainable tourism incentives, which are relatively easy to support. With this in mind, we’d love to help you make the most of your visit to Laos. 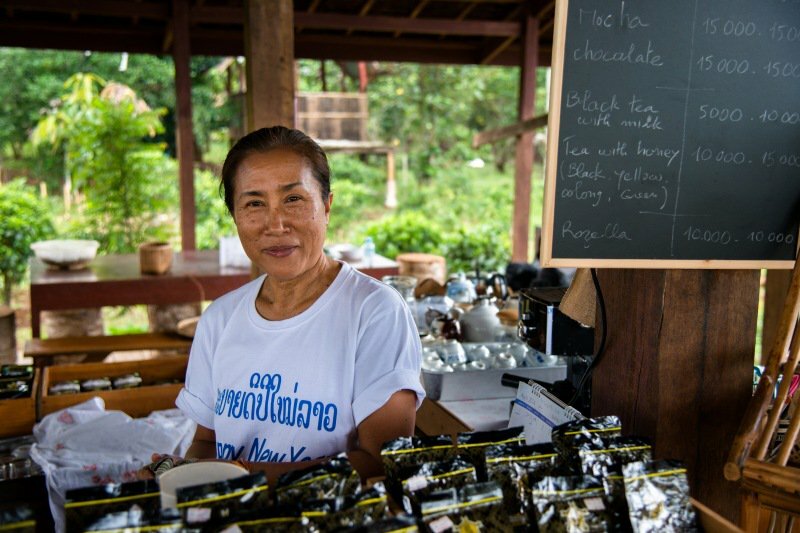 From local businesses, to destination and mindset, here are 6+ ways to support responsible travel in Laos. Laos is strikingly different from its neighbours. A completely land-locked country, most goods are imported driving up the cost of general services and items compared to Vietnam and Thailand. There are still a great deal of unexploded ordinances (bombs) left from the Secret War in remote areas, and threats to its expansive natural ecosystems and isolated minority communities stemming from resource development on behalf of foreign investment. Therefore, there are a lot of challenges facing Laos. If you have the opportunity to visit it, it’s important to spend a bit of time learning about its history for a better context of how people live there now. As always, we recommend you use your knowledge to contextualize your choices during your visit. Bring a reusable water bottle for your journey, support local economies and go off the beaten track to truly interact with your destination. Be conservative in your apparel, respect monks and do not touch anyone’s head. 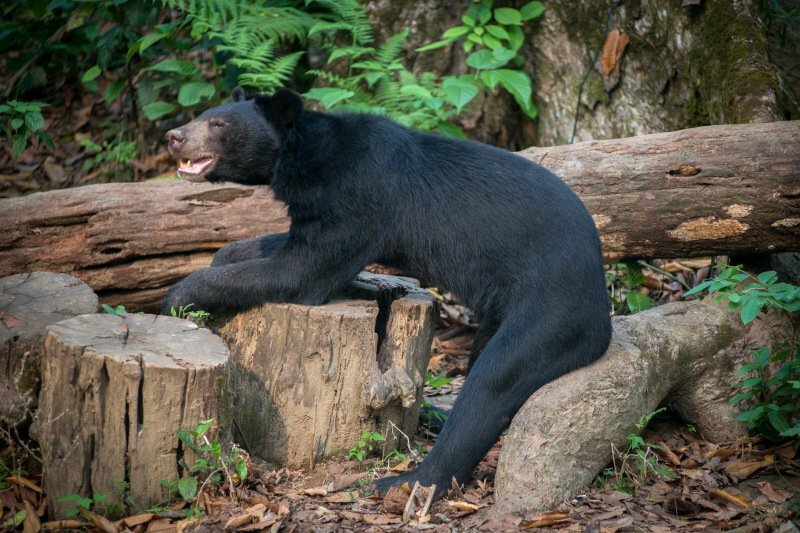 However, on a more general note, you will notice that Laos has an almost laid back attitude. This quiet country has a contemplative and calm pace, making it a rather peaceful destination. However, it’s important to keep this cultural climate in mind if your transfer is running late or a vendor is taking a long time to decide on a barter with you. Patience and ease go a long way in Laos. As much as possible we advise you to spend locally. Forgo dinner at your hotel in Luang Prabang for a meal at a social enterprise restaurant or a feast of barbequed goods at the night market. Be sure to check any products you are interested in, whether it was made by a member of a minority community such as Hmong people or that it does not contain any ivory or related endangered animal by-products. Generally, every kip spent should go into the pockets of the local community so that you can directly support this country’s local economy and encourage investment in these smaller regions. 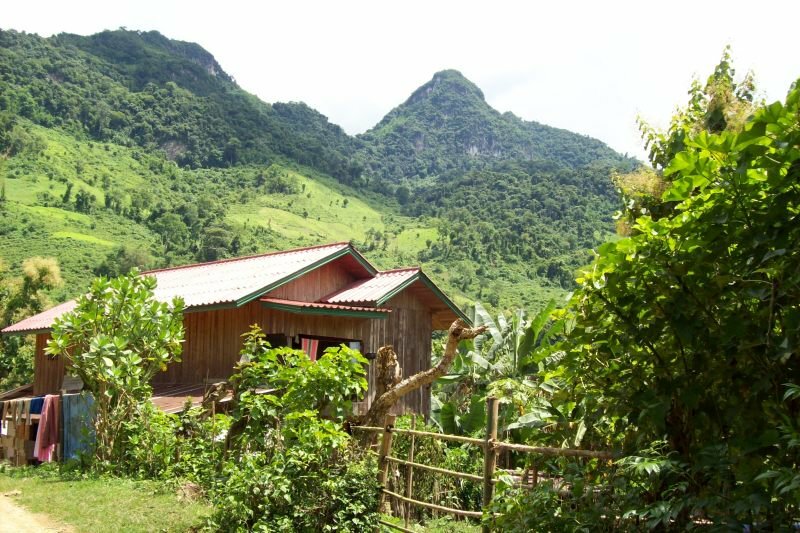 Whatever your style of travel, finding accommodation that gives back to the community in Laos is easier than you think. 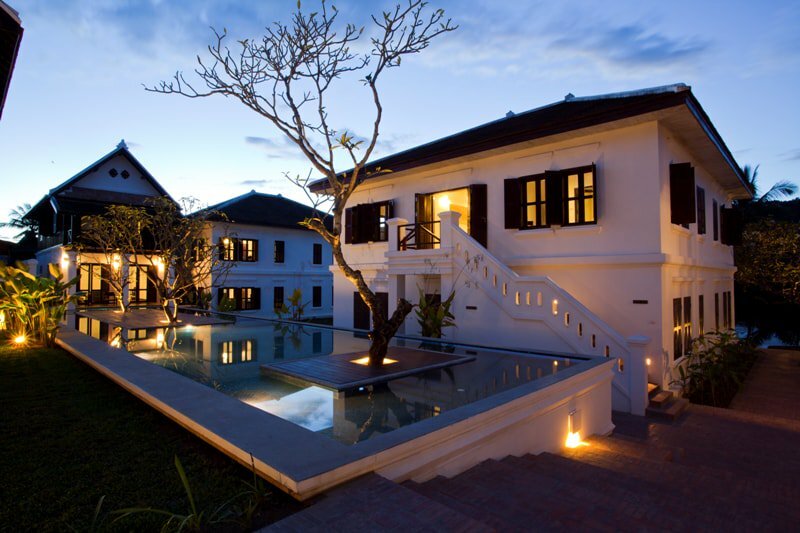 For a luxurious treat in Luang Prabang, stay in the former royal residence of Victoria Xiengthong Palace. It features an open air cinema screening old Laotian films, traditionally inspired spa-treatments on hand and bamboo bicycles for free! For the adventurous, Tree Top Explorer Eco Lodge offers a once-in-a-lifetime experience to sleep in the rainforest canopy of Dong Hua Sao National Park. Made from materials sourced in the forest, it is powered by a hydro turbine at a nearby waterfall, even your meals are locally sourced. Not only do you get to trek in the jungle and sleep in the trees, you’re main way to get around is soaring through the air like a gibbon on a zip line! Homestays in remote areas are also a great option for responsible travellers. Our favourite piece of responsible travel advice is to go off the beaten track. 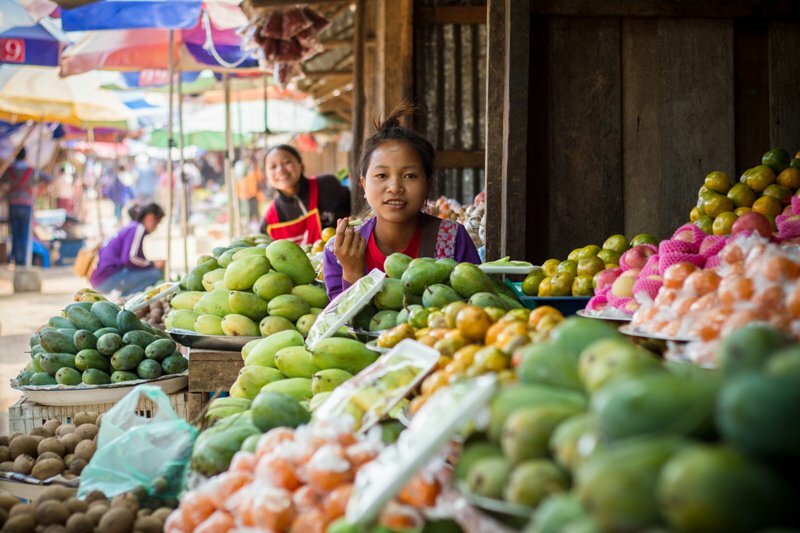 With many remote and rural corners, Laos is perfect to explore beyond the highlights. The further you go, the more you can discover of its natural beauty while impacting communities for the better. 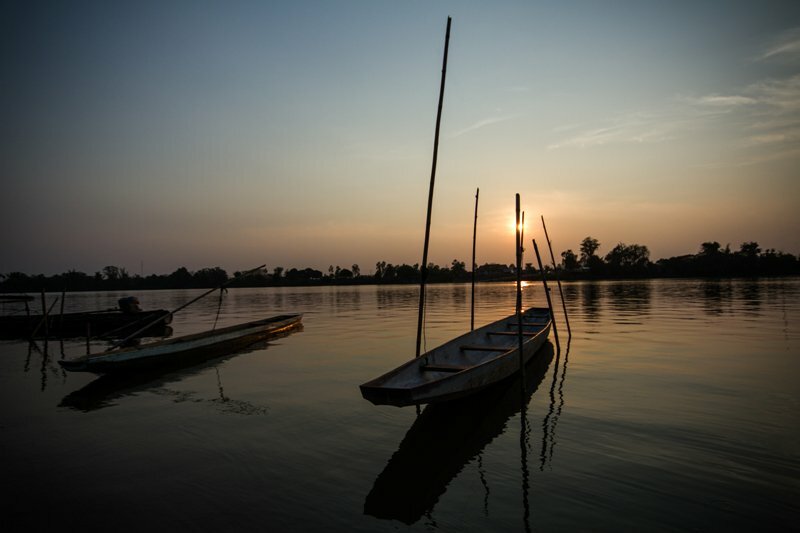 With resource development being one of the main incentives of Laos’ economy, every kip spent on the traveller’s journey encourages sustainable tourism. Visiting remote minority communities in their natural splendour offers alternative employment opportunities to individuals without many options. However, these incentives need to be responsible for locals and travellers alike. 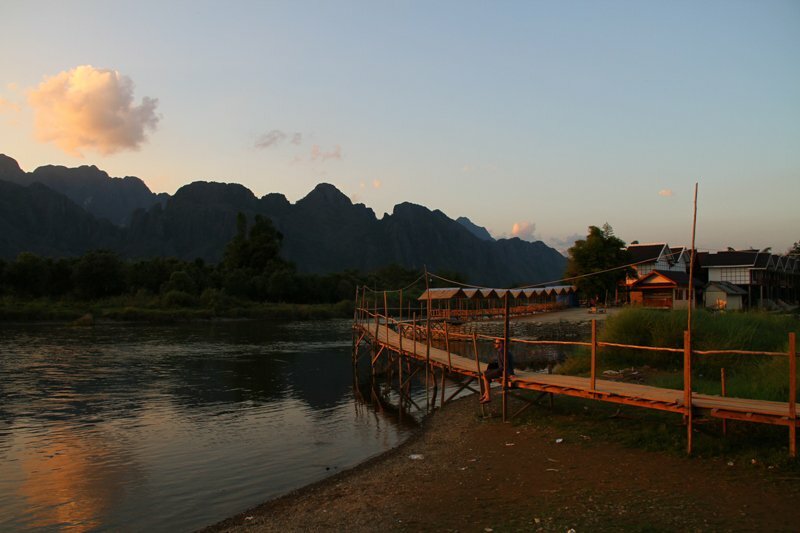 One example of this effort is Vang Vieng, which has transformed from a backpacker party destination to a serene riverside paradise suiting both travellers and the local economy. Laos is home to verdant rainforests, towering karsts, roaming hills and peaceful rivers. Offering a variety of natural wonders, it’s home to some of the most diverse wildlife of the region. There are still risks posed in resource development and illegal wildlife trade for animal by-products, however most travellers will not support this accidentally. One nickname for Laos is the Kingdom of a Million Elephants, and while that number has decreased, there are still quite a few roaming the jungle. As a visitor we encourage you to interact with them in a responsible way, meaning not riding the elephants and connecting with them in a positive environment. You can read more about this here, and find out more about our policy to sustainably support and audit elephant camps to improve the industry standard in Laos and our other destinations. Dress appropriately, especially in temples and religious sites. Throw away your rubbish in designated bins and recycling areas, even if you see locals doing the opposite. Not visit orphanages or similar institutions; this will encourage an exploitative and established system. Not engage in public displays of affection. Not give money to people begging, especially children. If you want to help, seek out a local responsible and reliable community organisation.